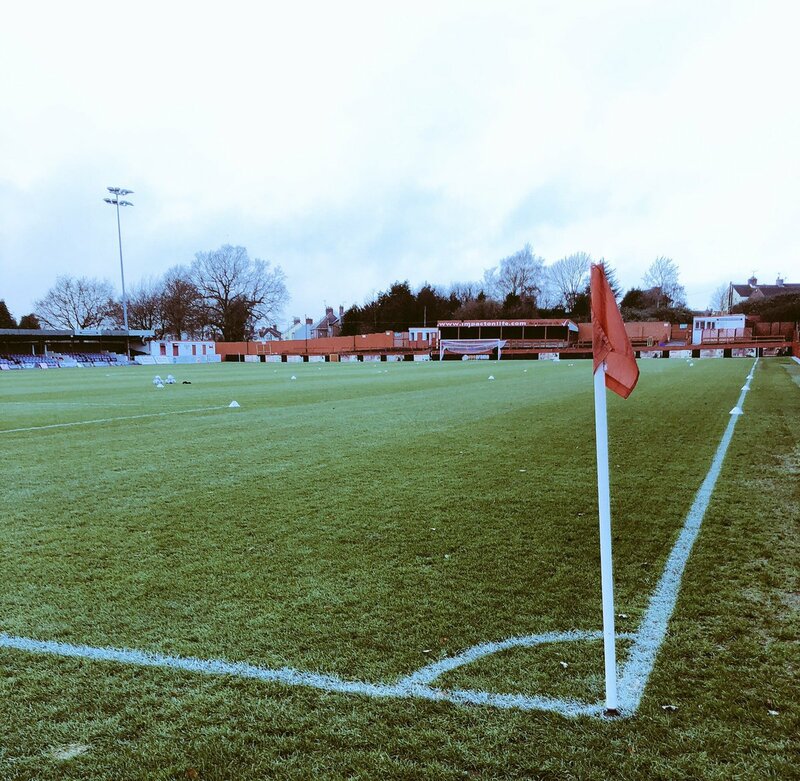 Alfreton Town make a long awaited return to league action as we welcome high-flying Stockport County in the National League North, kick off at the Impact Arena is 3pm. After ten days without action for the Reds, it's been a period of reflection for the management team and the players as we return to action for the first time in 10 days after our 2-0 win over Buxton in the Derbyshire Senior Cup quarter final back on the 11th December. It's been a difficult and anxious middle portion of the season for Alfreton after such a promising start to the campaign which saw us beat York City at Bootham Crescent before registering four straight league wins over Blyth, Stockport, Southport and Darlington. Tom Denton would then join Chesterfield in September for an undisclosed fee before a brilliant run to the FA Cup First Round followed which brought fantastic funds into the club as our journey was ended by League One Fleetwood Town at the Impact Arena in front of the BBC cameras. A return to the early season form and momentum will be a must for the Reds as we look to recover a disappointing middle part of the season which has seen us exit the FA Trophy at the Third Qualifying Round for the second season running and league form which has seen us slip from potential play off contenders to mid table. Despite booking our spot in the DSC semi finals we have won just two of our last 11 league games and three of our last 12 in all competitions. The ten day rest has no doubt allowed all to recharge and reset the batteries, as Alfreton look to kick on again and make the second portion of the season a positive one after a difficult set of results in the last few months. We head into tomorrow's meeting with Stockport having won two of our last three games in all competitions (Ashton and Buxton) but just two of our last 11 in the league. Home form has been a troublesome with the Reds winning just once (3-1 v Nuneaton) in the last six home league fixtures. Visitors Stockport County sit in 7th place in the league table, the final play off position. They head into tomorrow's game off the back of a 6-0 hammering of struggling Ashton United on Tuesday night away from home and are unbeaten in their last four games in all competitions; which includes winning the last three (W3, D1). The Hatters have lost just once (Blyth 3-2) in their last 11 league games and have also won their last three away games in all competitions. Stockport County 0-1 Alfreton Town (Saturday 25th August 2018) - Tom Denton's first half header was enough to hand the Reds all three points in a first ever win at Edgeley Park back in August as we recorded back to back wins. This fixture is SEGREGATED, Stockport fans can enter the ground via the Alma Street entrance.